Home / HORROR/SUSPENSE / James Wan Magnifies Your Fear of the Dark in "Lights Out"
James Wan Magnifies Your Fear of the Dark in "Lights Out"
From torches and candles to LEDs. Street lamps, headlights, neon, flares. Since the origin of our existence, humans have sought ways to escape the encroaching shadows and the frightful things they conceal. But beyond fear and foreboding, what if there truly was something malignant that lived in the dark? Something whose very existence depended upon that opaque cover and drew strength from our terror? Our only defense would be some comforting source of light; our lives would hang on the reliability of a switch, the current in those overheads, the batteries in that flashlight. Now you see it. Click. Now you don’t. Making his feature film debut with “Lights Out,” Sandberg has written and directed a slate of short films with deliciously disturbing titles like “Closet Space” and “Attic Panic,” and earned a throng of internet devotees who expect him to scare the wits out of them. “Lights Out” is based on Sandberg’s recent horror short of the same name, and it was both the quality and the impact of that insomnia-inducing gem that brought the young Swedish filmmaker to the attention of Hollywood. 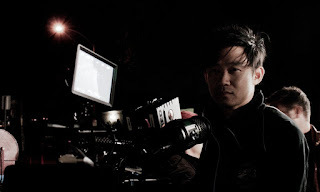 “I remember watching it and thinking, ‘this is fantastic, this is really cool, the kind of stuff that I used to do when I was an aspiring filmmaker myself,’” Wan says. Producer Lawrence Grey recounts: “It was only about a year ago that David made the short in his apartment in Sweden and uploaded it to social media, where it started getting a lot of buzz. It was incredibly powerful and frightening. I see a lot of films, but this one really stood out. It has north of 100 million views now, so I wasn’t the only one who felt that way. Drilling further into the story together, Sandberg, Wan, Heisserer and Grey imagined the impetus of an entity that manifests only in the dark, and the ways in which it seeks to destroy anyone who stands in the way of what it wants. 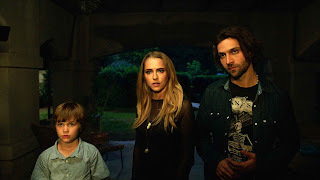 Thus fully fleshed out, “Lights Out” takes on additional depth and levels of darkness, and offers characters who are not merely victims but, rather, well-drawn individuals audiences can relate to, empathize with and root for.